Perform an angular movement. Using the F command, the angular speed is set to the specified value in degrees per second. 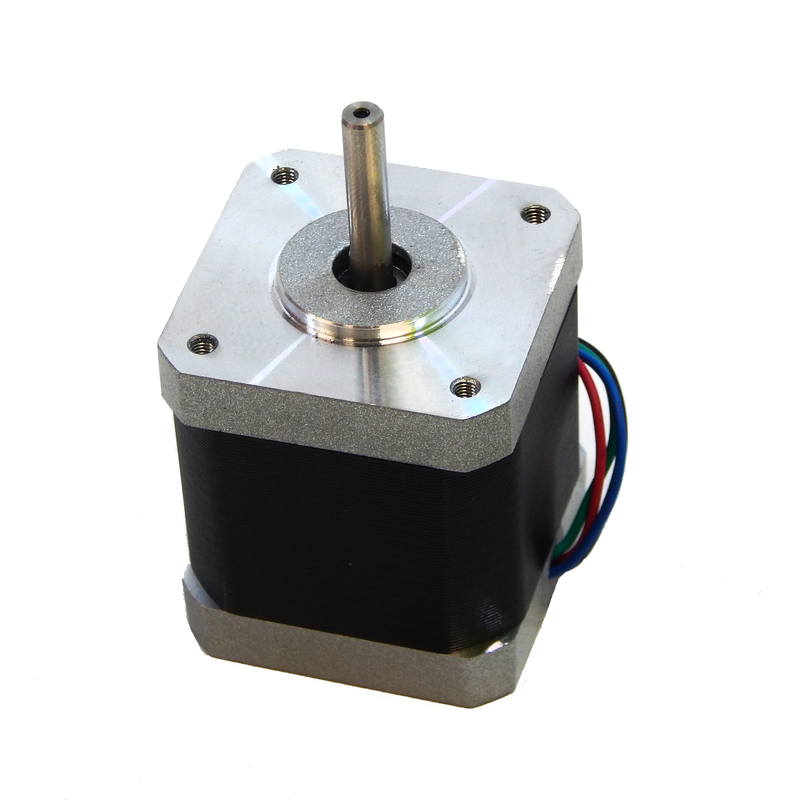 Also with the X command, the motor moves to the specified absolute position in degrees. Reset all positions to zero. It is recommended to be executed after M18 to avoid the oscillation anchor. Enable the motor. It remains enabled even after sending G1 commands. If the motor is enabled for a long time, the driver and the motor can overheat and even break. Disable the motor. It remains disabled even after sending G1 commands. Motor rotation must turn in a counterclockwise direction with positive angles. If it turns in reverse, probably the connector is connected in the wrong way. This can be solved by editing the parameter invert_motor in Preferences > Invert the motor direction. Make sure the motor step is 1.8º. Put all the jumpers in the Zum Scan board to enable micro-stepping. Adjust the electrical current with the potentiometer in the pololu driver. Recommended values are about 200 mA.